Fairmount Sports Association provides community baseball/softball on The Ben Franklin Parkway ball fields in Center City, Philadelphia, serving hundreds of children from all surrounding neighborhoods since 1963. See Important Dates for a list of all upcoming events during the 2019 Season. Congrats to Girls 12U Tournament Team and Coach Liz Miller- First Place at Marlton, NJ! Go Fairmount Fire! FSA offers league play for boys and girls; T Ball typically involves age groups (boys and girls) starting at 4 years old up thru 6 years old; Girls Softball begins at the rookie level for ages 7-9, junior level for girls ages 10-12 and a senior level league for girls ages 13-16 years of age. If total registrants are not sufficient to produce separate girl’s leagues; leagues may be merged to create a single rookie – junior league. Boy’s baseball begins at the rookie level (7-9 age groups), Junior or Pony League (10-12 age groups) and senior league (13-16) years of age (older boys league is wooden bat only). July 1 is the age cut-off for league eligibility; no exceptions. You can get more details about the different leagues and find out which league is most appropriate for your child. All of the FSA teams are comprised of children of all different backgrounds and abilities and everyone is welcome to participate. Fairmount Sports Association is an all-volunteer organization so your help and participation is necessary to help make each season a success at an affordable price for families! 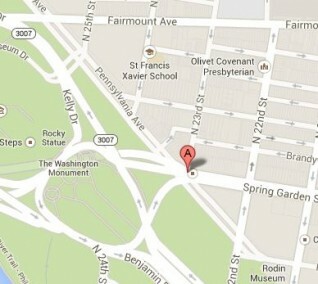 FSA plays its games on the three baseball diamonds located on the Ben Franklin Parkway. There is a field house located at 23rd and Pennsylvania Avenue, just steps from the Philadelphia Museum of Art with a beautiful backdrop of Center City skyscrapers. Von Colln Field is dedicated to the memory of Sgt. Frank Von Colln who lost is life in the line of duty.